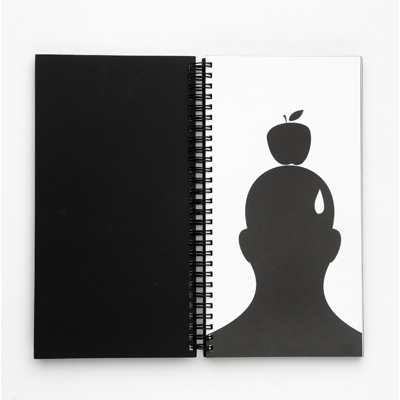 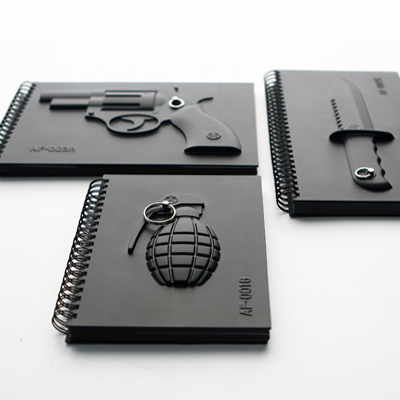 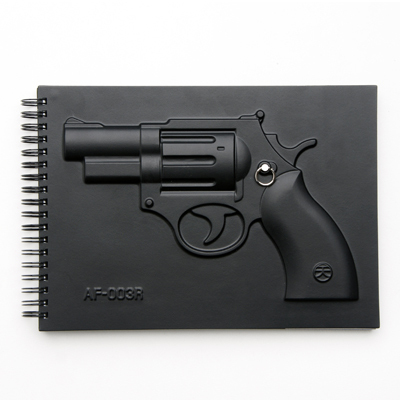 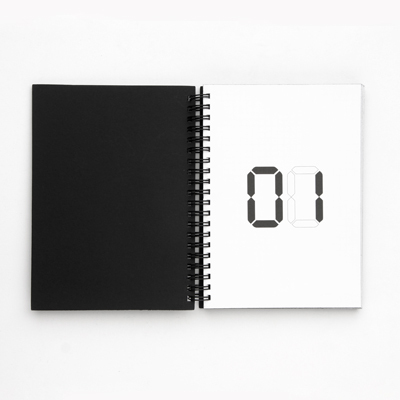 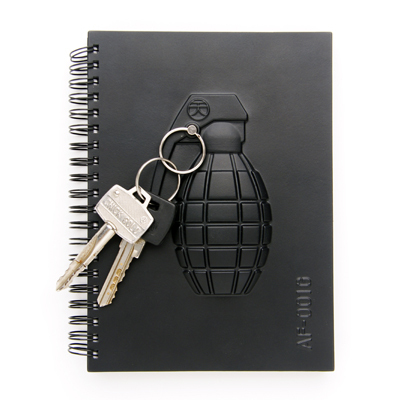 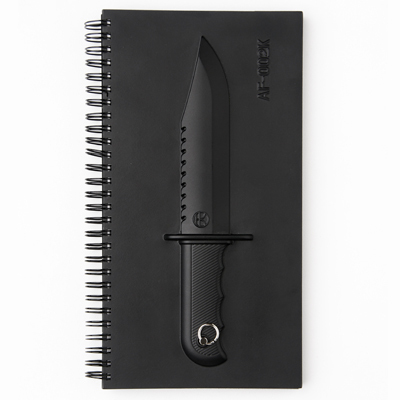 Black notebook series with 3D covers of weaponry and unique pages inside. 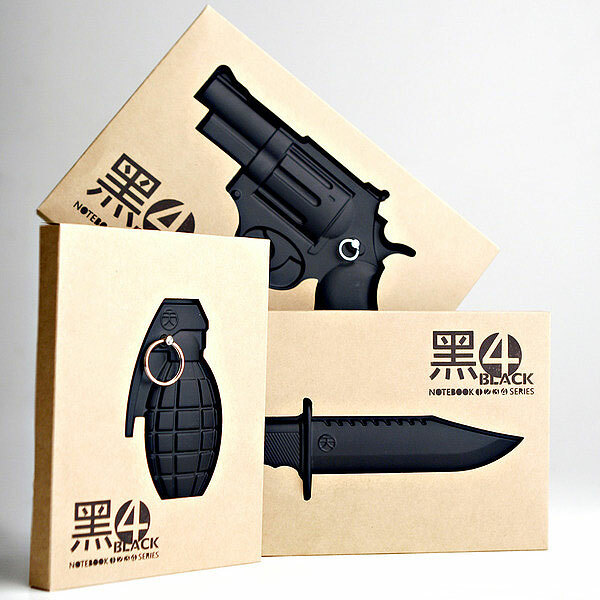 Here, weapons which may typically be viewed as symbols of violence are convereted to tools for peace. 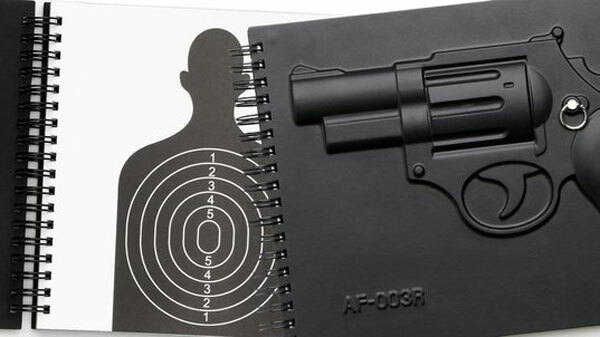 Our creativity and knowledge expressed through words and sketches are the best means to get our points across, not through force and/or violence – a strong message conveyed by the designer.